The mechanism of each garage door system is rather complicated since it’s comprised by many different electrical and mechanical parts. Thanks to the good cooperation of all these components you can activate the operation of the garage door and have a safe and easy access into your property. The extension springs are considered extremely important to this whole procedure because they are responsible for the lifting of the door. For this reason, they must be flexible and well lubricated. Their importance has led us to create Garage Door Springs Brampton, which specializes exclusively on matters related to springs. You can understand their significance when they are broken and you cannot open the door. 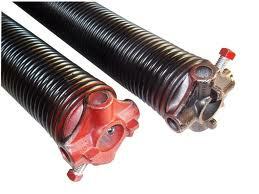 Our company has the right equipment and works with specialized technicians on broken spring replacement issues. You must never forget that the tension hidden behind the torsion spring that actually enables the lifting of the panel can also hurt you if you release it by yourself. Spring repair requires special knowledge of how to approach and handle these parts, how to release the tension and repair it or install a new one. If you don’t want to become a statistical number of the reported accidents by springs in Ontario, you should trust the services of the expert technicians at Garage Door Springs Brampton. The people of Brampton don’t choose our company by chance. They know we have the knowledge, expertise and experience to carry out the most challenging job and the most demanding garage door spring repair. 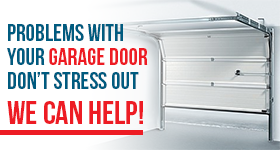 We can keep you safe and have your garage door working properly.